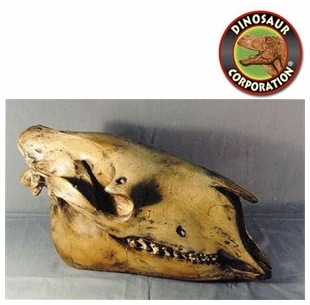 Horse Skulls are museum quality replicas cast in durable polyurethane resins. Made in USA. Chalicothere Moropus elatus skull, Domestic Horse skull, Mesohippus skull, Pleistocene Horse. Horses have long been among the most economically important domesticated animals, especially relied upon for farmwork and for transportation for centuries.